John MacArthur, Shell's vice president of group CO2. Shell is “looking at Scotland” as it considers future investment in offshore wind, a company chief said yesterday. Mr MacArthur also discussed Shell’s newly launched Sky scenario – a pathway for society to meet achieve Paris Climate Agreement goals. 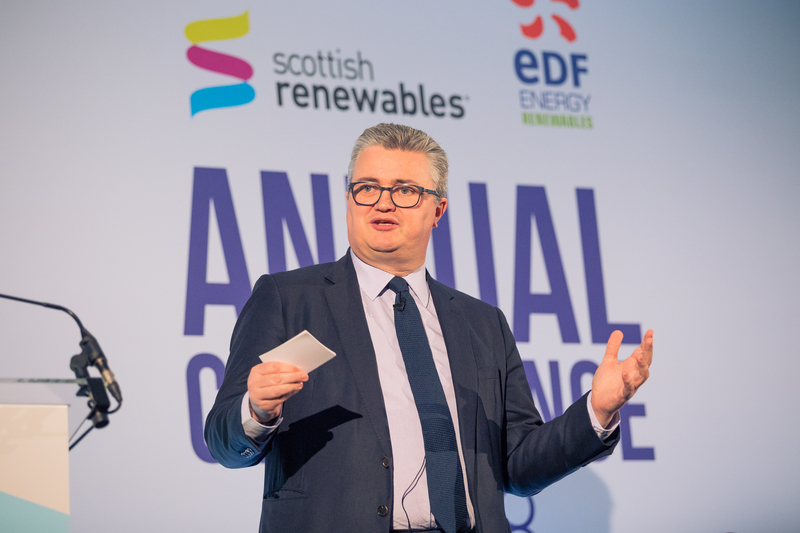 “We have the 680MW offshore wind farm on the border in the Southern North Sea between the Netherlands and the UK, and there’s more to come,” he said at the Scottish Renewables conference in Edinburgh. “We’re looking to invest globally for opportunities in all these spaces, including in Scotland. I’m aware of things that we’re looking at in Scotland already. Mr MacArthur reiterated his firm’s commitment to new energy saying that Shell is investing £1-2billion a year in a range of renewable and sustainable energy areas. Praising Scotland’s wealth of natural resources, Mr MacArthur said Scotland was in a unique position due to its history in the North Sea with traditional oil and gas. Mr MacArthur also reiterated Shell’s commitment to the energy transition in Scotland. He said: “I think Scotland is very well placed for renewables and low carbon growth and innovation because of [oil and gas]. Businesses here today are critical to Scotland thriving in the energy transition and accelerating that too. Shell is committed to that energy transition and the wider contribution that we will continue to make to the UK.